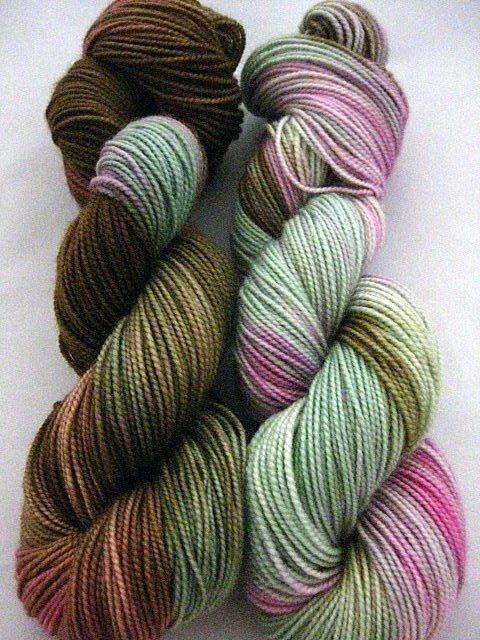 George and Gracie, Burns and Allen, no matter how you call it, this colorway is a delightful confetti of mint greens, orchid pink and cigar brown. I have a clear picture of the TV comics George and Gracie - him with his cigar and her in her sweet housewife full skirts in pastel colors of the time. I loved this program and the simplicity of it all.